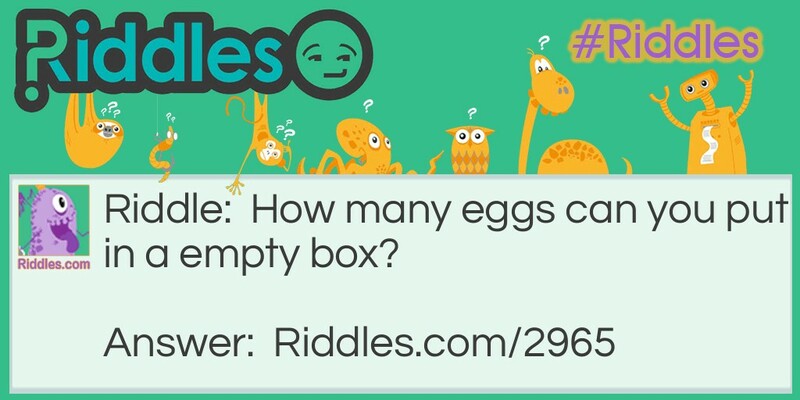 How many eggs can you put in a empty box? One, after that the box is not empty. Food riddles Riddle Meme with riddle and answer page link.